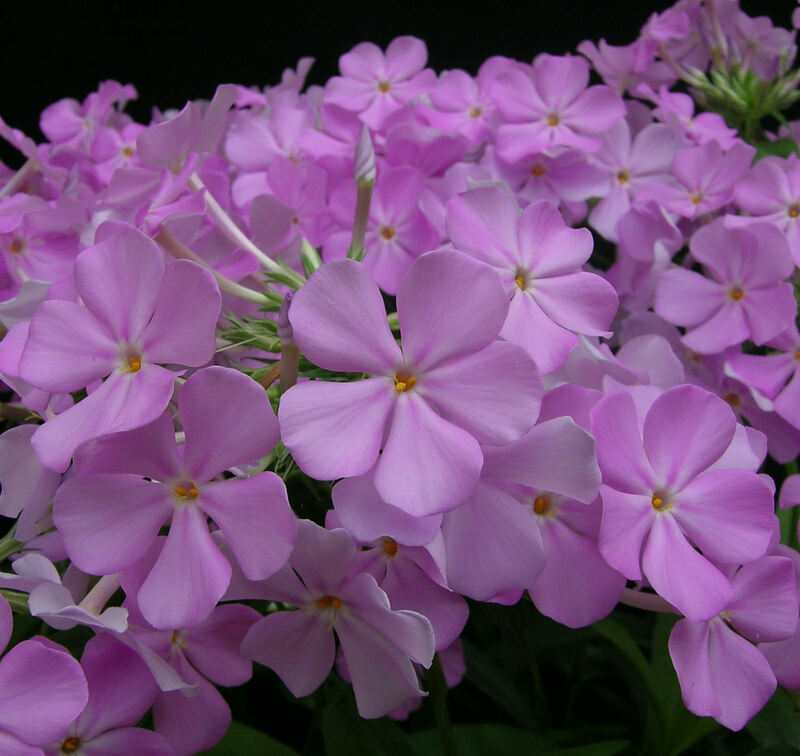 These phlox are a series of hybrids involving several wild species native to the eastern United States. Blooming from mid spring into summer, the plants bear heads of showy white, pink, and bicolor flowers. The cultivars are from 20" to 36" tall and have attractive, smooth, semi-glossy to glossy foliage. They are well suited for perennial border use, providing full-size phlox color and form in a season that has always been without it. These hybrids are much more vigorous and adaptable than the older P. maculata and P. carolina cultivars, which develop serious disease and die-back problems under less than ideal garden conditions. Most of the cultivars are virtually seed-sterile, so that even without dead-heading, off-color seedlings are not a problem as they are with Phlox paniculata. The plants have a long bloom period, often with some rebloom late in the season, and the sweetly scented flowers attract butterflies and "hummingbird" sphinx moths. The attractive foliage is very resistant to powdery mildew and should show no sign of it in the garden. They will have their best growth and appearance in rich, moist soil in full sun to partial shade. Compared to Phlox paniculata, these cultivars are much easier to grow in containers and flower well in one-gallon pots. The flowers are as large or larger than those of P. paniculata cultivars. As the plants mature, they expand to form dense mats in the case of 'Rose Bouquet' to loose, slowly-expanding clumps. 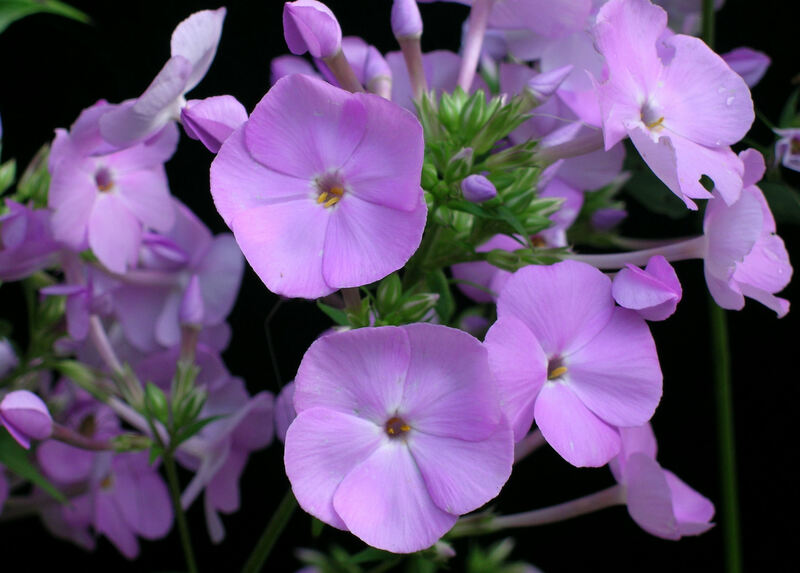 Phlox 'Rose Bouquet' (PPAF) forms a densely floriferous, spreading clump about 16" tall. Almost every one of the dozens of shoots will bloom, extending the flowering period from May well into summer. The 1 1/4" flowers are clear pink and well-shaped. This is an exceptionally vigorous and clean variety that is not susceptible to mildew even in humid conditions under cover. Phlox 'Aurora' (PP#27,264) has showy white 1" flowers with a center pink blush in rounded, airy panicles from mid May through June. The plants are about 20" tall and have glossy, pointed leaves. 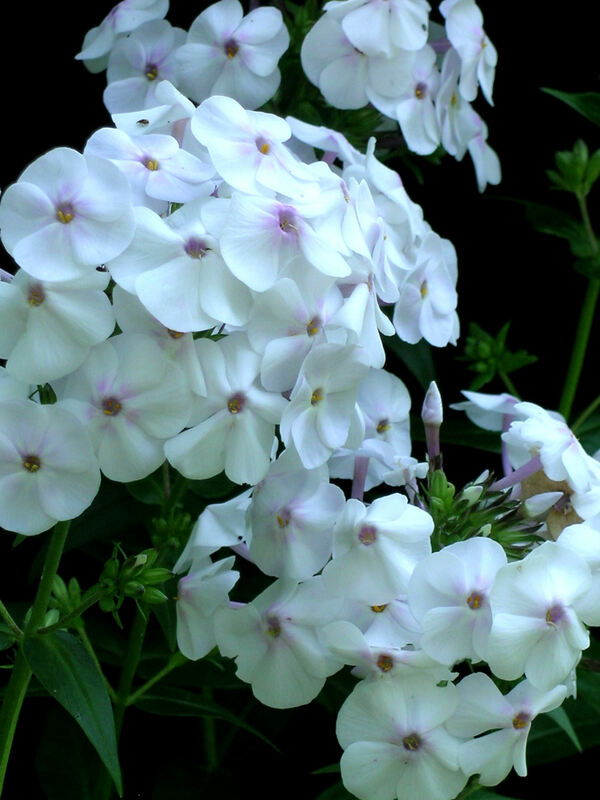 'Phlox 'Daughter of Pearl' (PP#27,267) has round, full 1" flowers that are white with a central purple shading in dense, conical panicles from mid June through July. The plants are about 36" tall and have slightly glossy, pointed leaves. Phlox 'Solar Flare' (PP#27,265) has 1¼" bicolor flowers that are white with a strong pink center marking in rounded panicles from mid May through June. The plants are about 24" tall and have slightly glossy, pointed leaves. 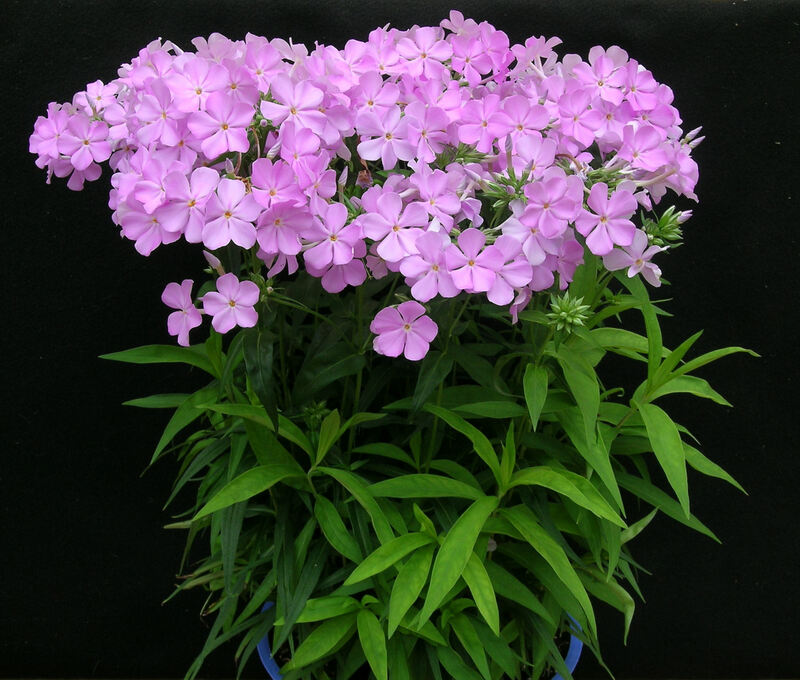 Phlox 'Zenith' (PP#27,266) has large 1¼" clear pink flowers in rounded, open panicles from mid May through June. The plants are about 30" tall and have very glossy, pointed leaves.